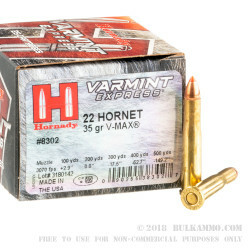 This .22 Hornet load will prove devastating against vermin and small game thanks to its 35 grain V-Max polymer tipped jacketed hollow point bullet, which expands rapidly for maximum impact on critters. This round boasts an impressive muzzle velocity of 3,100 feet per second, giving a nice flat trajectory at intermediate ranges. 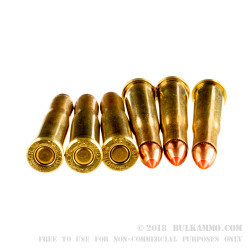 Each cartridge in this box of 20 uses Boxer-primed brass casings. In business since the 1940s, Hornady is a highly respected manufacturer of bullets and ammo. 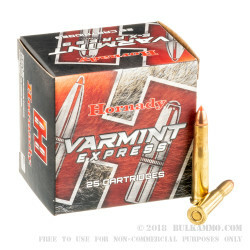 It was one of the first companies to offer premium hunting bullets and has built on this success with highly popular V-Max, XTP, and FTX hollow points. 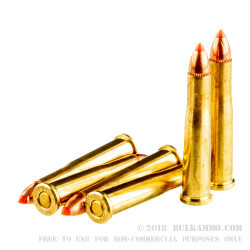 Hornady bullets are highly popular among other ammo loading companies for their excellent ballistic properties and consistent quality. The company produces its own components in house at its 150,000 square foot headquarters in Grand Island, Nebraska.